​​​ HOUSTON – Plans have been announced for Memorial Medical Pavilion, a new five-story medical office building in the Memorial Villages area. 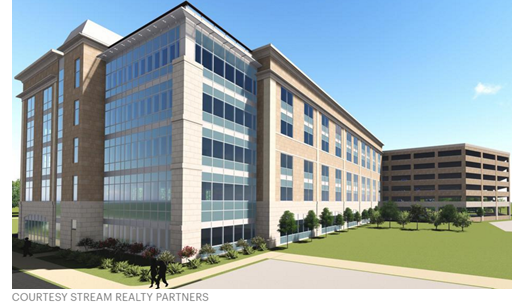 Memorial Medical Pavilion will be 101,744 sf and will have a freestanding parking garage. The site for the new medical office building is just west of Voss Rd. with frontage access along the I-10 feeder, Gaylord Rd. and Old Voss Rd. The project is expected to break ground December 2017 and be ready for occupancy during first quarter 2019. ​Check out Houston Medical Market Research.